This website is acting up - please be patient! 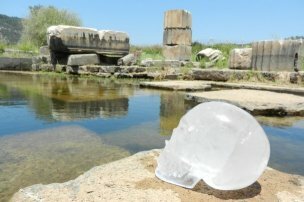 [Synergy's Upcoming Travels] [History of this Skull] [WORKING WITH A CRYSTAL SKULL] [Dream With A Crystal Skull] [The Shape of the Skull] [Messages From Synergy] [Buy Synergy Crystal Skulls] [Why Buy From Me?] 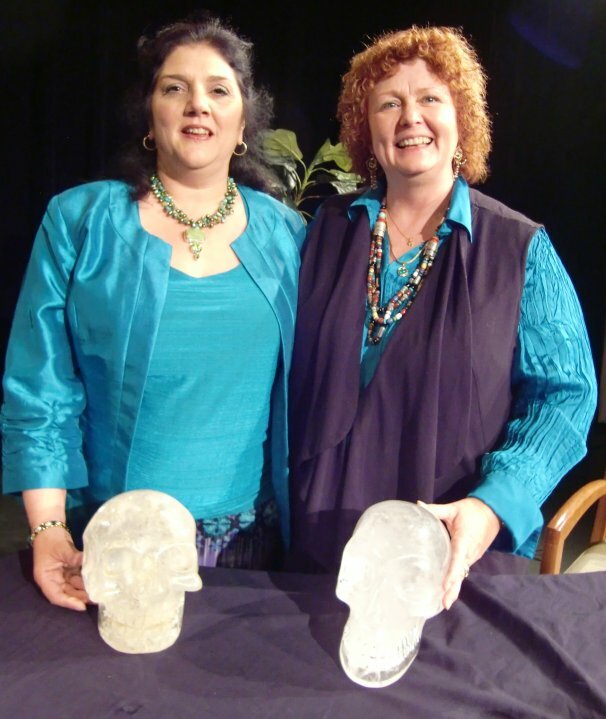 [Customer Comments] WATCH Synergy and Sherry in the episodes about Crystal Skulls on Ancient Aliens: the Series on the History Channel! "Native legends speak of crystal skulls as an inheritance from ancient times. Said to “talk and sing” they are believed to carry messages for all mankind, including what may be discovered when we overcome our fear of death." 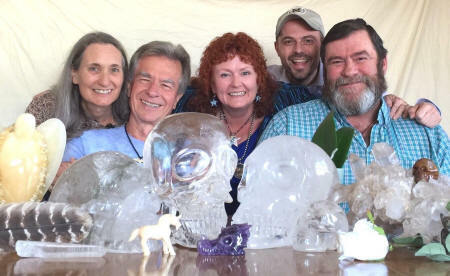 "The first layer of working with any crystal skull, including Synergy, is "to remember." This is the first layer - and this layer has many other layers within it. What you are to called to remember is who you really are. It's so easy to get caught up in the little daily things that take our time, attention and energy... and to forget that life is short and sweet, even with all of the pain and difficulties." 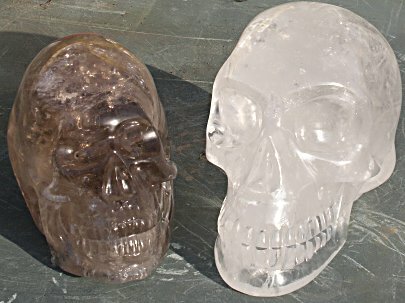 The Ancient Crystal Skull known as: "Synergy"
Synergy is what the skull is called but more precisely Synergy is the quality of or the interactive energy that this skull is said to manifest or represent on the earth at this time. Synergy is defined as the cooperative action of two or more independent entities, to bring about a total effect or change which is greater than what either can accomplish alone. In other words 1+1 = 3 or even more. What you and I together can accomplish is potentially so much more than what either of us could do alone. Anyone who has experienced this skull will tell you that these energies are incredible! 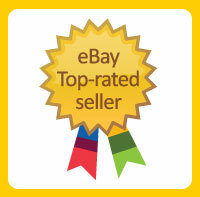 Synergy is considered by many experts to be one of the best examples in the world of this type of artifact. It weighs in at 15.5 lbs and is the size of an adult human skull. Synergy is included in several books and films about unexplained mysteries and crystal skulls, including "Ancient Aliens" the TV series. 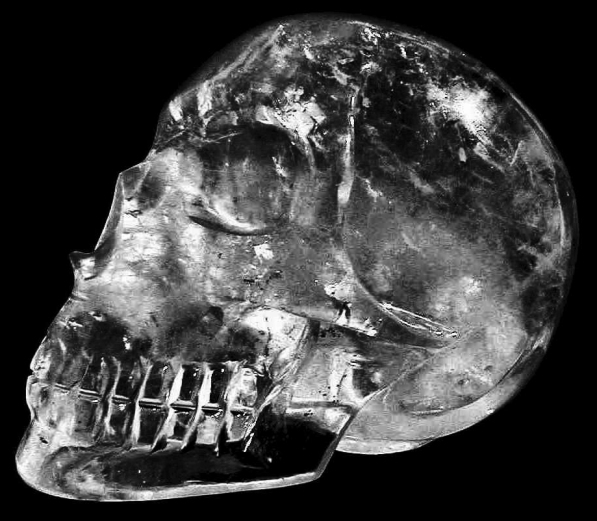 One of the many interesting things about this skull is that it was modeled from an actual skull. It is not an actual skull and it is not 100% precise to anatomical standards as it is one piece, carved from a solid quartz crystal - however, it is close enough to what a real bone skull looks like, according to two forensic anthropologists, that a face could be reconstructed on it. It is an intriguing thought. What would the face of Synergy look like? Among other things, the skull shape is thought to have been used by the Ancients to symbolize all of humanity - with every race and both sexes represented. It is truly a symbol of equality. Its exact origins are lost in time, however, it is ancient and it goes back much farther than originally thought, having spent many generations with a small native tribe on an island in the South Pacific. Synergy has also spent time in the Hawaiian islands, before making it's way to the Northern Andes, then to Sweden and finally to its present day location of Arizona, USA. 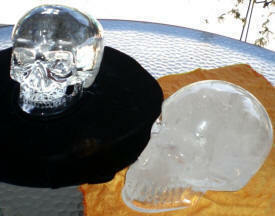 Some people might ask "What do you use a crystal skull for, anyhow?" This could be great or you could feel uncomfortable. 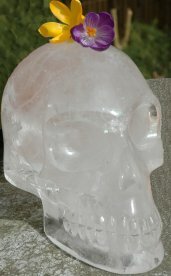 Because they do more than just amplify energy, keep in mind that a crystal skull could be helpful for you transform any emotions that come up, also. It's your responsibility to know that they could do this and to be prepared. What could you set your intent on the crystal skull amplifying? Clarity is a simple concept. It can help anyone, in a variety of situations, to have clarity. IF you have clarity, then you have a priceless tool for spiritual and emotional growth. 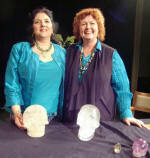 Lots of people try to increase their psychic abilities. You probably already have some abilities, but odds are that you lack the clarity on how to use them to the best effect. How do you figure out what the heck something might mean, (like a dream) when it happens? Develop Clarity! 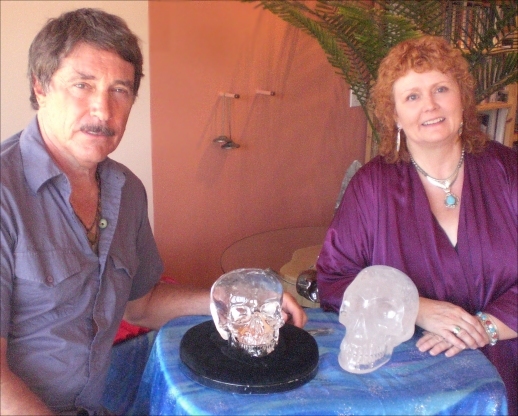 Sherry and her close friend Dr. Jaap van Etten have wanted to collaborate in the work that they both do with crystal skulls, spirituality, subtle energies etc. They have continued to work towards that goal and now there has been a huge opening! The time is right and it has begun! Yes, this is just the very beginning - but it IS a beginning of something a little different in this field. This is the birth of a true Fellowship - encompassing far more than two people. This alliance has been forged in love, friendship, respect and the mutual desire to assist in raising the spiritual vibrations of all Beings involved in this co-creation known as our Universe and Humanity! In the coming years the Fellowship will share resources, offer information and online courses from top people in the various fields and be a place to have honest discussions. Topics will be as varied as crystal skulls, earth energies, angels, healing, working with subtle energies, multi-dimensional Beings and much more! THANK YOU TO THOSE WHO WE'VE MET ALONG THE WAY! This is a local (for Sherry) group and is by Donation! This is a monthly group in a local venue. The owner allows me to do this for a small donation - it's not about money - so if things are tough for you right now and you do not have extra money to spare it's OK - Come join us anyhow! 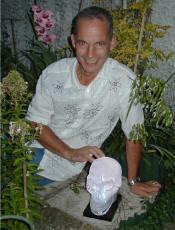 Synergisim emphasizes how God and man can work together to accomplish great spiritual changes. It stresses the importance of using our conscious, free will to act in concrete, consistent ways, in accordance with spiritual principles which support the spiritual growth of ourselves and others. In other words, the Creator draws us towards It -- but It draws only those who are willing. It's truly amazing to me how this movement of 'Synergism' was stamped out - almost entirely eradicated - because the idea of a human aligning him or herself with God's Will by choice was so terrible to the prevailing governments and churches. I find remnants of this kind of control in many areas of life today. I personally think that Religion should seek to enlighten, rather than to enslave. Angel Valley, Sedona, Arizona on September 27, 2008. 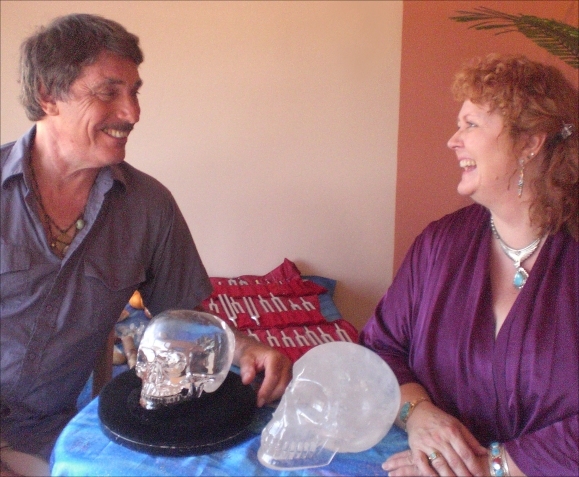 Bill and Sherry agreed that the time is ripe for caretakers of ancient and contemporary skulls to join together in to bring about an increase in love and spiritual awareness. Sherry and Joky enjoyed their day together. It was a wonderful and 100% memorable reunion. Caretaker Joky is a beautiful person and we really enjoyed our visit! 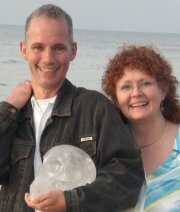 Synergy and Sherry in Beneden Leeuwen, Holland with Holistic and Homeopathic Practitioner and previous guardian of Synergy - Arthur van Steen. We are thrilled to have reconnected with Arthur and to have been able to work with him while in Europe, the UK, Turkey, France and various places in the U.S. The Synergy energy is at an all time high and extremely intense during Shamanistic sessions, and it's great fun working with Arthur. We are able to access a different level together and it's transformational for all of us. Synergy was meant for this kind of work --- 1 + 1 = 3 or more! Arthur is a previous caretaker of Synergy. 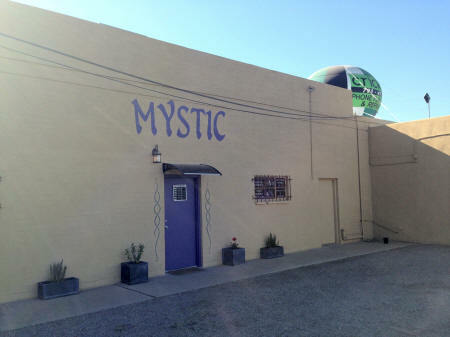 His kind and compassionate personal energy is an indication of his high vibration - and the incredible healing energies he uses in his work, in this life. *** A HUGE thank you to Arthur and husband, Pieter, as well as his staff and friends Els, Maarten and Elika AND my daughter, Jaimee... and everyone who made these visits the big successes they were! "I wear my sunglasses at night...so I can keep track of the visions in my eyes..."
Synergy is also called the Skull of Laughter and Joy. 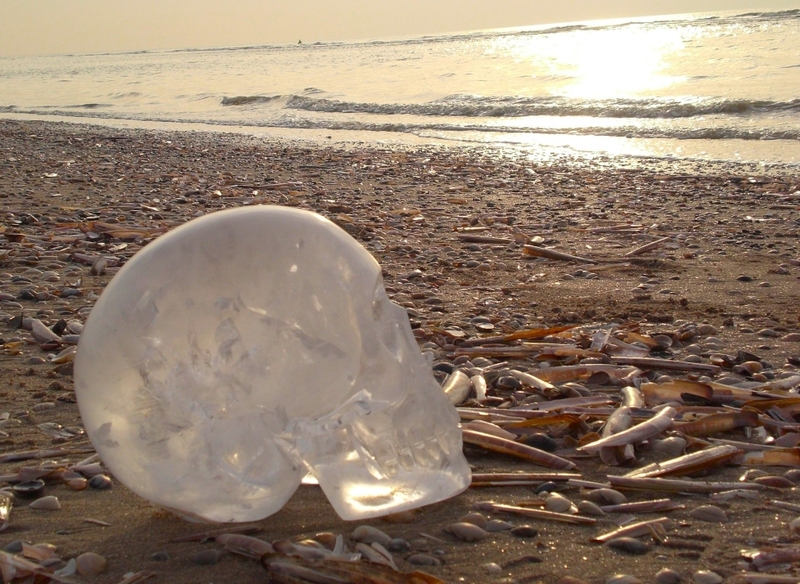 The skull laughs a lot and has a very unusual sense of humor.